Getting Lots of Birds into your Backyard. 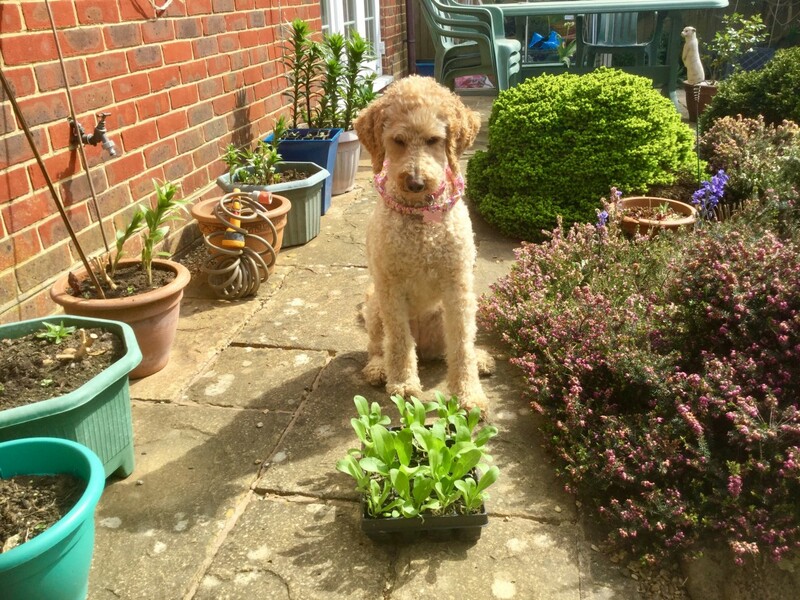 So you've built a beautiful garden - now what? 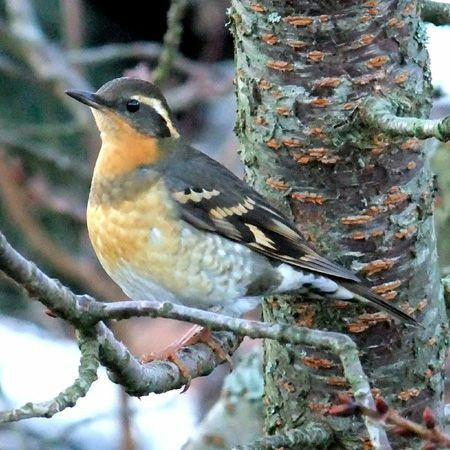 From time to time you may see a beautiful bird flitting through your yard and you may ask yourself -. What was that bird? Or maybe you already know your birds and want to see them more often. 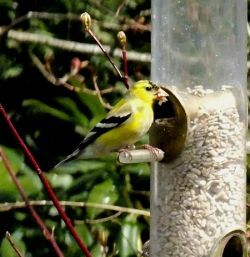 It's not too difficult to attract lots of birds, with some bird-friendly planting and some well-placed bird feeders. 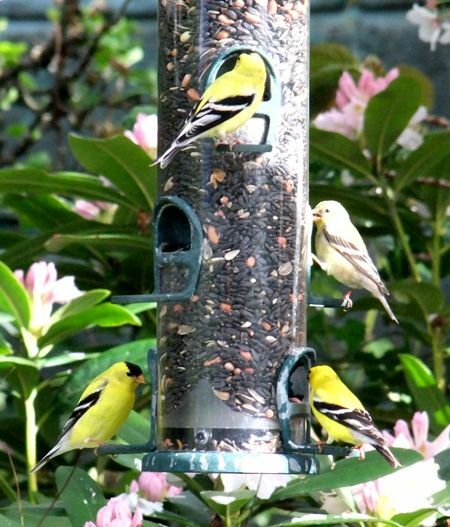 It won't be long before you see all kinds of gorgeous birds in your backyard! I've had upwards of fifty birds at one time in my yard this spring when a flock of pine siskins and a flock of juncos descended on the property a couple of days after filling up the feeders. I've been fascinated with birds from childhood and by age 11, I had memorized every bird in the World Book Encyclopedia. Briefly, my childhood dream was to make my fortune in the fast-paced and cuthroat world of ornithology. Alas, it was not to be, but I'm still fascinated with birds - those flying jewels that visit your backyard. All the photos on this site were taken by me, in my backyard - so I know this stuff works! One morning, I was up early and surfing with my I Pad when my wife came in and said - "You should check out the back yard, the chickadees are going crazy" Expecting to see a cat lurking in the under brush, I scanned the yard looking for a feline predator somewhere. I glanced up at the viburnum tree that we call the "Stinkbush". It was in full fall colors, yellows and oranges and green. In a small clearing directly in front of me sat this very tiny owl, gazing right at me with an unblinking stare. In 50+ years of birding, this was a first. Actually a couple of firsts. 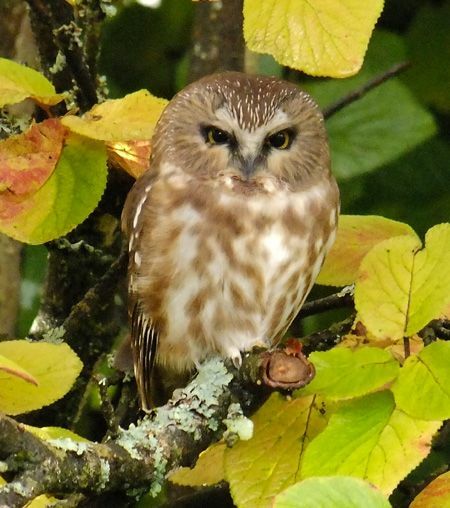 the first owl in our yard and my first Saw-Whet Owl. He (or she) sat there for about an hour, completely unperturbed at the scolding of the chickadees. Eventually it hopped out of the visible area of the tree and deeper into the middle where it disappeared, never to be seen again. 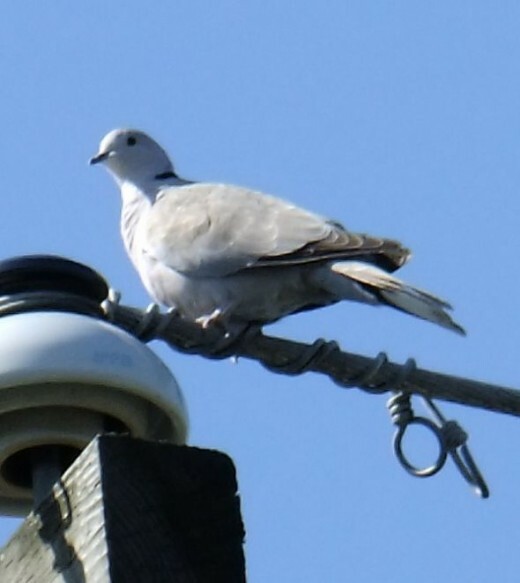 A few weeks ago we heard a dove cooing nearby. Strange I thought, that sounds like a mourning dove - having seen and heard many of those in Arizona. I could see a dove or two flying through the neighbourhood from time to time. Last week, I thought - ok this is strange, we don't get mourning doves around here, we do have pigeons and band-tailed pigeons - but this seems different. I got our my binoculars and sure enough iot was different. A pale buff-coloured dove with a black collar at the base of its neck. Turning to my bird guides, the only bird that matched was the Eurasian Collared Dove, whihc by its name doesn't belong here. 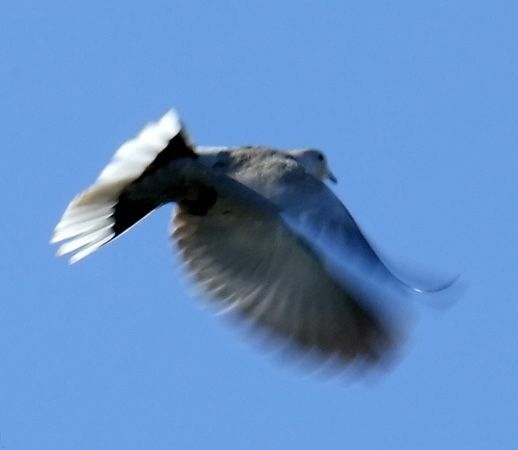 In 1970 some Eurasian collared doves were released in the Bahamas. Twelve years later, they had made it ti Florida and thirty years later they had dispersed diagonally to the north west more than 4 thousand miles to reach Burnaby, BC. A quick check with Google confirmed that they have been sighted in the lower mainland since at least last year. This is the first time in my life that I have seen the arrival of a new species that looks like it may be here to stay. Most of the birds that you will attract to your back yard are seed eaters. 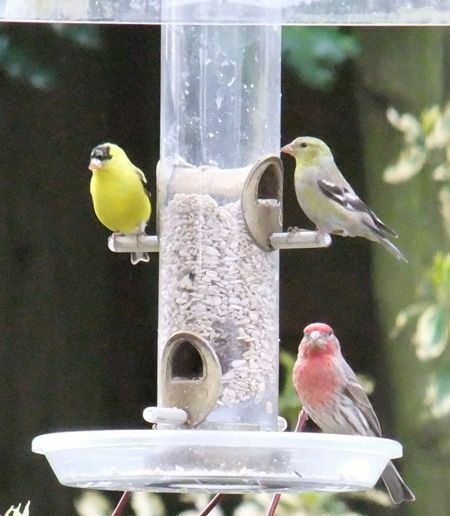 These include finches, sparrows, juncos, towhees and more. The best way to bring them in is with bird feeders. Here's a goldfinch munching on sunflower seeds. 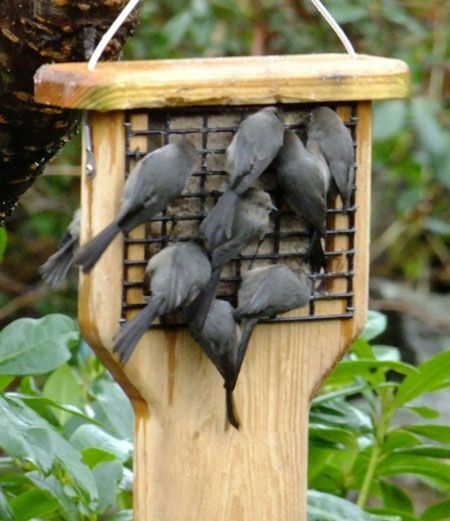 Birds looking for a high energy snack like woodpeckers, bushtits and many more will love a suet feeder. Unfortunately, starlings will also love it and tend to monopolize it when they discover it. However, starlings are birds too, even if they are invasive European immigrants that will take over the habitat from the native species. Hmm - maybe their not so bad after all. 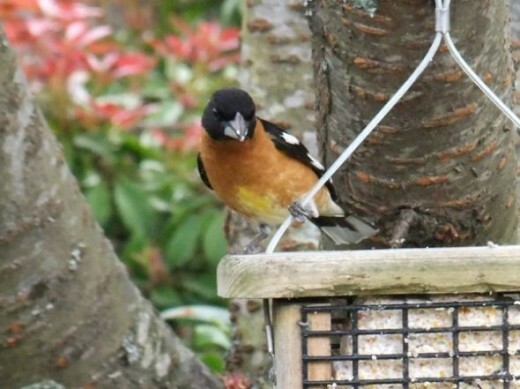 It's all worthwhile when something like this black-headed grosbeak shows up! This photo was taken in May of 2011 when the rhododendrons were in bloom. 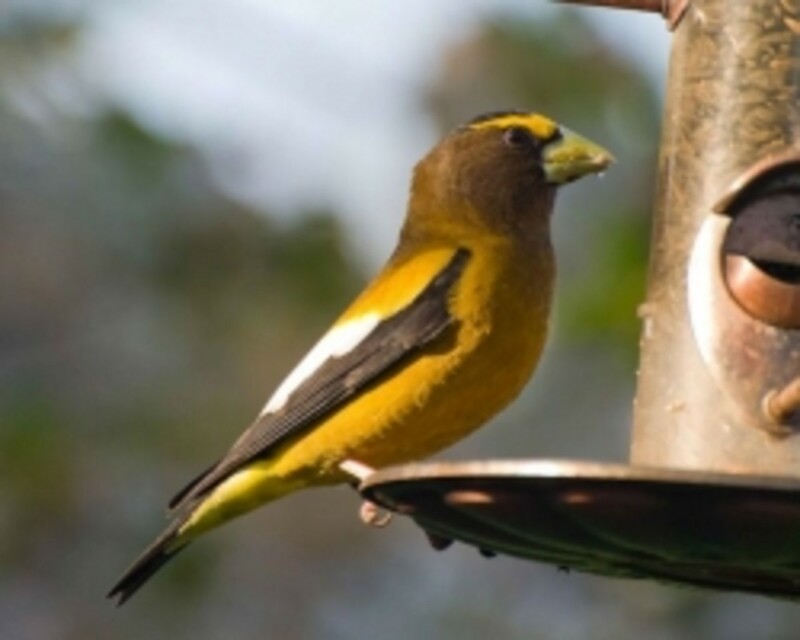 Not all birds will come to your feeder - The right trees and shrubs will help. Some birds are not big on eating seeds - thrushes are one example and birds of prey are another. 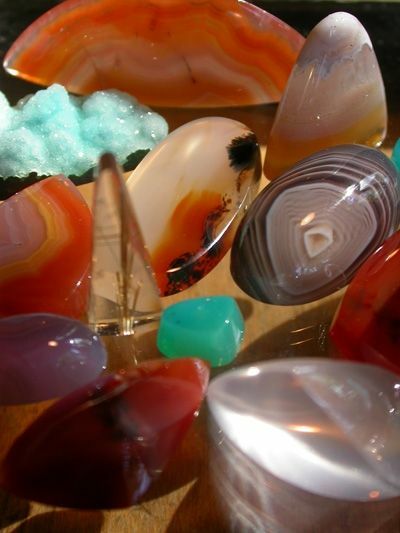 To attract them, you will need to create a habitat that will attract them. 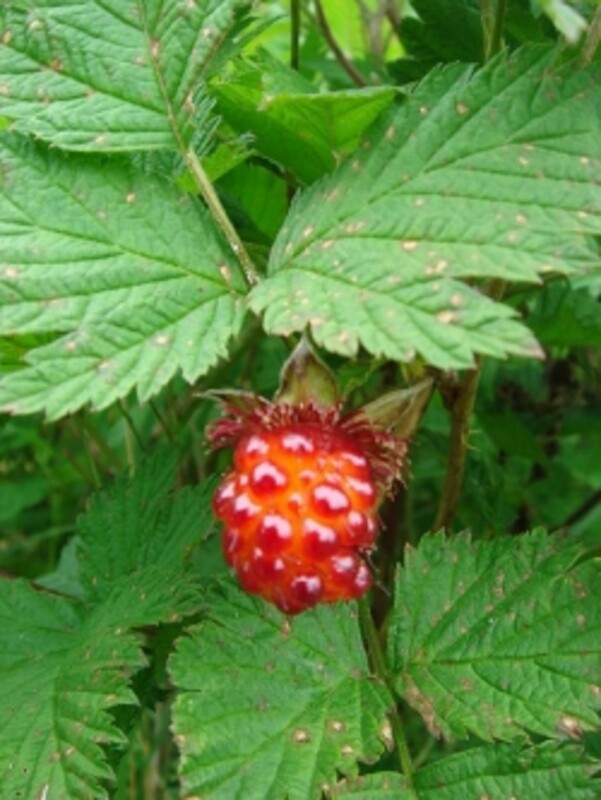 Thrushes - like robins, hermit thrushes, swainsons thrushes and varied thrushes (like this beauty) will like berries. In our yard we have two holly trees, a male and a female - you need both so the female will produce berries. Right now the holly tree is loaded with berries, but if the robins and varied thrushes discover it, they make short work of them. As a lifelong birder, here are some of my favourite books. Once you start to attract a lot of birds, one of these guys might show up. This is a sharp-shinned hawk and he or she is a bird eater. 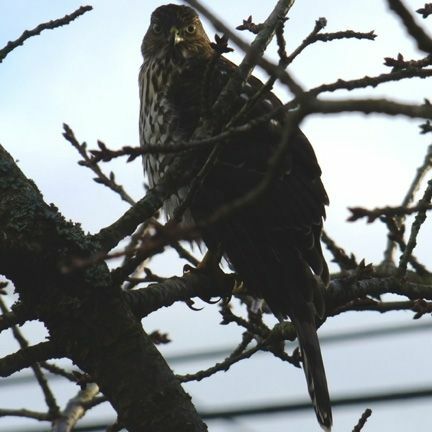 This one landed in the cherry tree that is home to my bird feeders. I watched one in action across the street and it had a very clever hunting tactic. It approached a house across the street flying swiftly at right angles toward the roof, level with the eavestrough. as it reached the roof, it skimmed the upward slope rising quickly to the top. As soon as it reached the top, down it dove, achieving complete surprise on any unsuspecting birds in the yard below. They wouldn't have seen it coming! Feeders come in many designs and configurations. One of the best designs is the plastic cylinder with multiple perches. It's also good to have a tray on the bottom where birds will perch and sometimes wallow in bird seed. As you can see in this photo, it will accomodate more than one species. In addition to Mr. and Mrs. Goldfinch, a bachelor House Finch is sharing the bounty. This feeder is half full of the ultimate bird seed - hulled sunfower seeds. Warblers are not seed-eaters, they love insects. 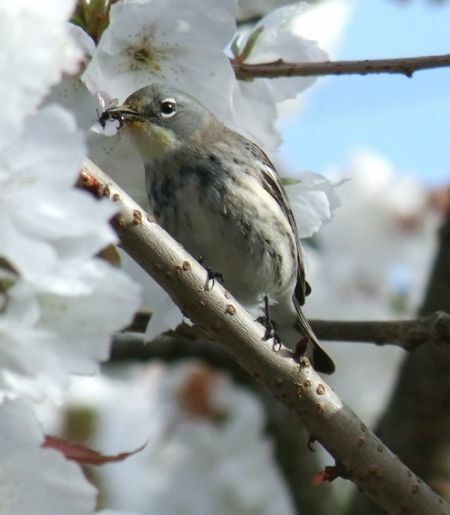 This female yellow rumped warbler found something tasty in our Tai Haku ornamental cherry tree. This tree seems to attract a lot of birds. Maybe it's because it's outside our kitchen window and I can observe them. 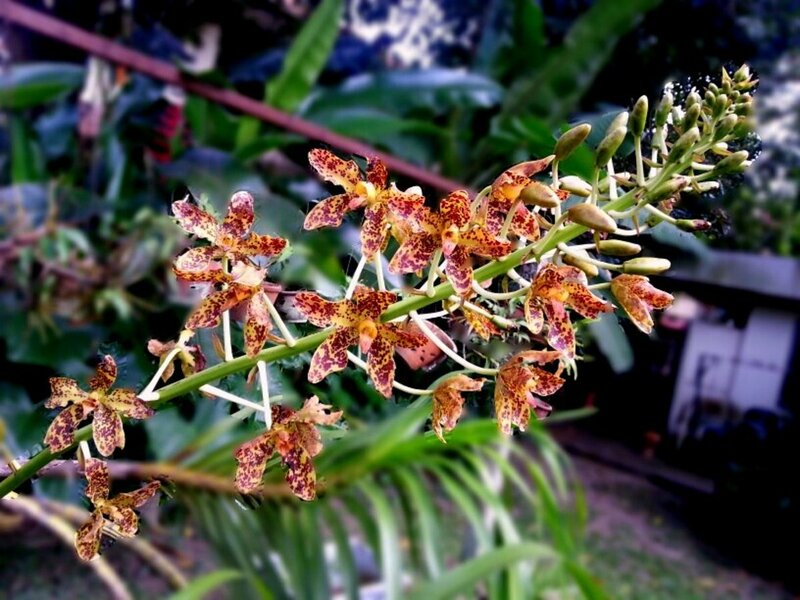 I also think that a tree that produces flowers will attract insects which will attract birds. This used to be called the Audobon's Warbler, but I guess the powers-that-be thought it would be more useful to have a descriptive name. Anyway in the Pacific northwest you will find these, if you look, flitting through your blossom trees, hunting bugs. This is the male in breeding plumage. A handsome fellow. 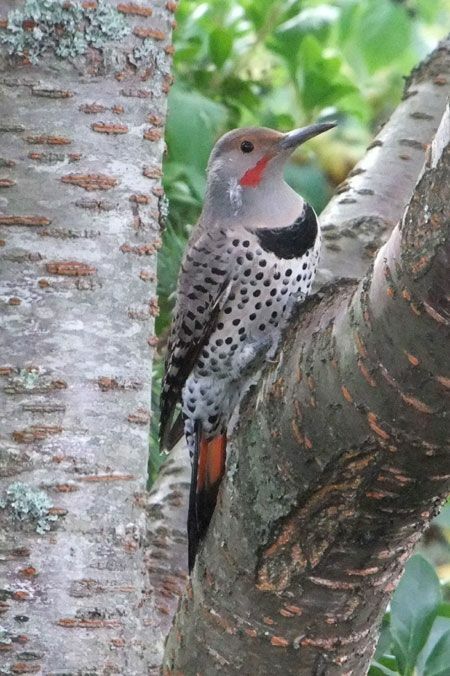 The flicker is a handsome bird that will be attracted by a suet feeder. They will also land on your grass and dig out grubs with their long sturdy beaks. An irruption is a sudden sharp increase in the relative numbers of a population. 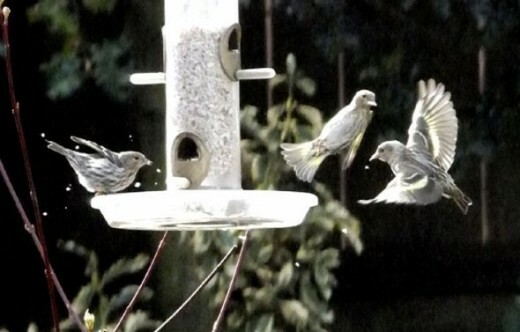 This year there was an irruption of pine siskins in the lower mainland. After setting out the sunflower seed feeder a flock of about thirty showed up. This photo shows an eruption during the irruption. Sadly a salmonella outbreak has followed the population outbreak and wwe found one bird suffering from the termianl stages of this bacterial contamination. We put it in a warm, dry box with some water and a soft cloth to lay upon. Unfortunately the bird died over night before we could get it to the bird rescue shelter the next morning. This is an excellent reference to have close at hand. Unlike earlier field guides, like Roger Tory Peterson's, this has photographs of the birds in various poses. It is well-organized and uses "Quantitative Shape" to aid in the identification by comparing the length of different parts of the same bird. It is comprehensive and very useful if you have taken your own photograph to compare with those in the book. 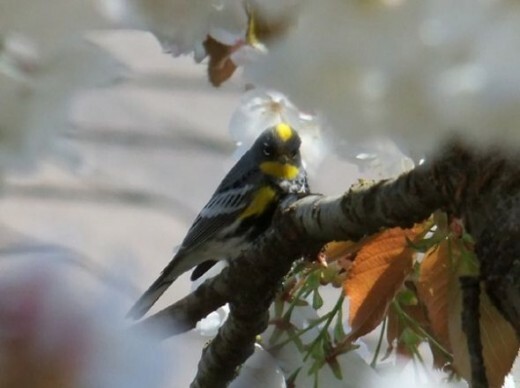 Of course if you're dealing with a confusing spring warbler, it's still - confusing! However, the bonus CD contains vocal dispalys for 150 common birds might help. This is a reference for experienced birdrers. It's a bit big and heavy as a field guide, but I would take it with me nonetheless. A suet feeder is one of the big attractors and will bring in certain birds that your seed feeders won't. This is a good, simple design with an accomodation for woodpeckers. The wooden extnesion beneath the suet cage is where they can support themselves with their tales. In this photo, however, we see a cluster of bushtits, the band of tiny mauraders that will flit through your yard en masse. If you have s suet feeder, they will stop for a few minutes as you can see here. 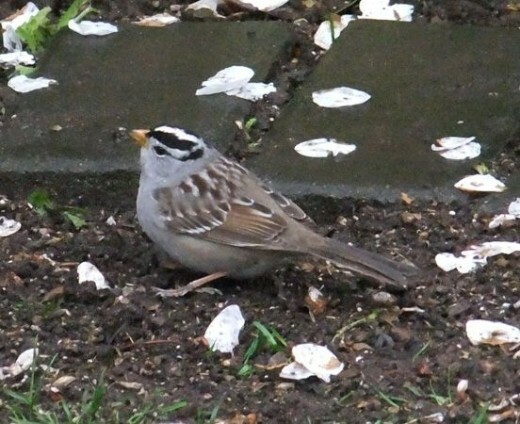 These will congregate in the spring with their cousins - the White-Crowned Sparrows. They too, prefer a meal on the ground as opposed to the giddy heights of the bird feeder. 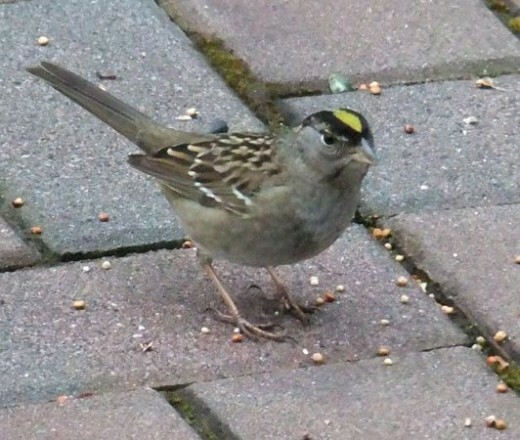 Another grass seed lover, I spread some seed on our paving stone patio in the hopes of diverting them, It didn't work, they ate those and the grass seed. 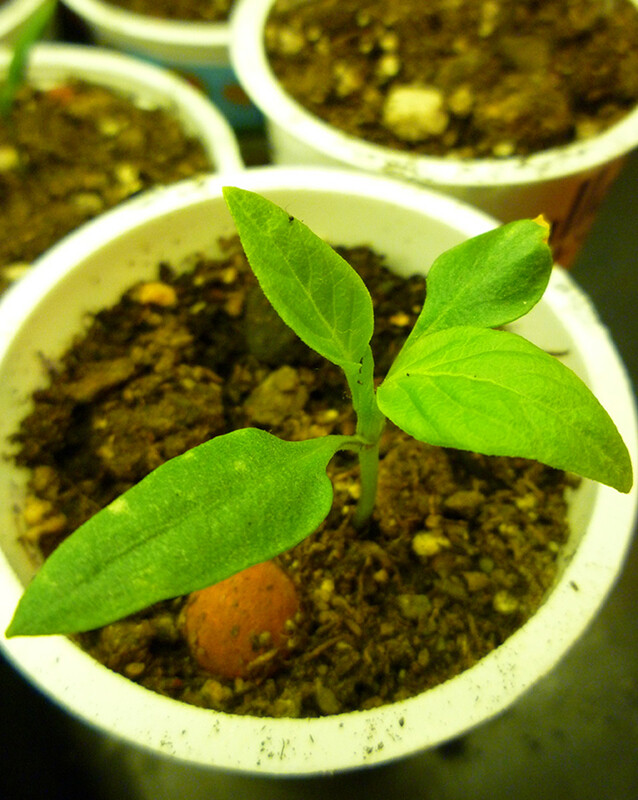 Not only that, a few weeks later, I had a vigorous crop of millet sprouting from the spaces between the paving stones. One of the reasons you might consider a concrete patio. Excellent - better than many books out there. Something I wouldn't share with just anyone! You get a nice selection of birds in your backyard.